Classic Audi, a family-owned business for over 35 years, is Eastchester New York's premier Audi dealer, offering a large selection of new, certified pre-owned and pre-owned Audi's at the most competitive prices in the region. Our friendly and knowledgeable staff will be happy to share their many years of extensive experience and provide whatever assistance necessary to help you choose a new car, obtain financing, or help you with service and repair questions. We proudly serve White Plains, Scarsdale and surrounding areas. While we are proud of our vast inventory of Audi automobiles, we also have access to a nationwide dealer network that will allow us to secure the Audi of your dreams. We're certain that Classic Audi can fulfill all of your automotive needs. Whether it's the new 2015, 2016 or 2017 Audi A3, A4, A5, A6, A8, TT, S5, Q5 and Q7 or any of the other models we carry, we know you'll be more than happy with your purchase from Classic Audi. Our friendly Audi Brand Specialists will help you select the Audi that best suits your needs and will make every effort to exceed your expectations. Classic Audi hand-picks only the highest quality pre-owned vehicles. Further, we take the time to inspect and recondition each and every vehicle far beyond industry standards, ensuring many years of trouble-free ownership. 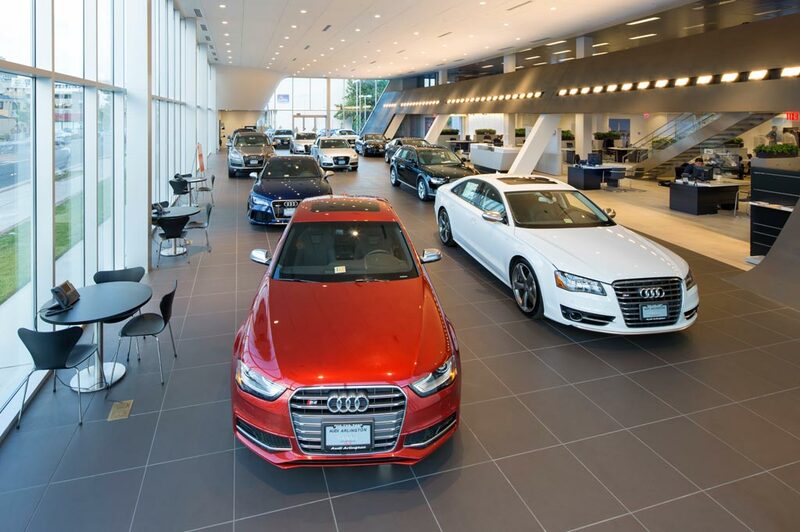 Please visit Classic Audi today at 541 White Plains Road, Eastchester, N.Y., and see the difference for yourself. At Classic Audi we take pride in everything we do. Whether you are in the market for a new or pre-owned vehicle, or are simply in need of parts or service, we want to be your choice for everything Audi and will do all we can to keep you 100% satisfied. We have been serving Eastchester and all of Westchester County for over 35 years and have the staff in all departments to expertly serve each and every one of our valued customers. Classic Audi in Eastchester, NY treats the needs of each individual customer with paramount concern. We know that you have high expectations, and as a car dealer we enjoy the challenge of meeting and exceeding those standards each and every time. Allow us to demonstrate our commitment to excellence! Our experienced sales staff is eager to share its knowledge and enthusiasm with you. We encourage you to browse our online inventory, schedule a test drive and investigate financing options. You can also request more information about a vehicle using our online form or by calling (914)779-2020.